Are you sad about missing Scentsy World Tour 2016 at the Sharonville Convention Center on February 8th? I’ll be on Periscope, live from Cincinnati! Join me, and our rock star teams, as we check out all the new fun Scentsy Spring Summer 2016 Catalog shown at World Tour. Scentsy home office will be there with sneak peaks of the new products, challenges, fun, excitement, and lots of SCENTSY SPIRIT! 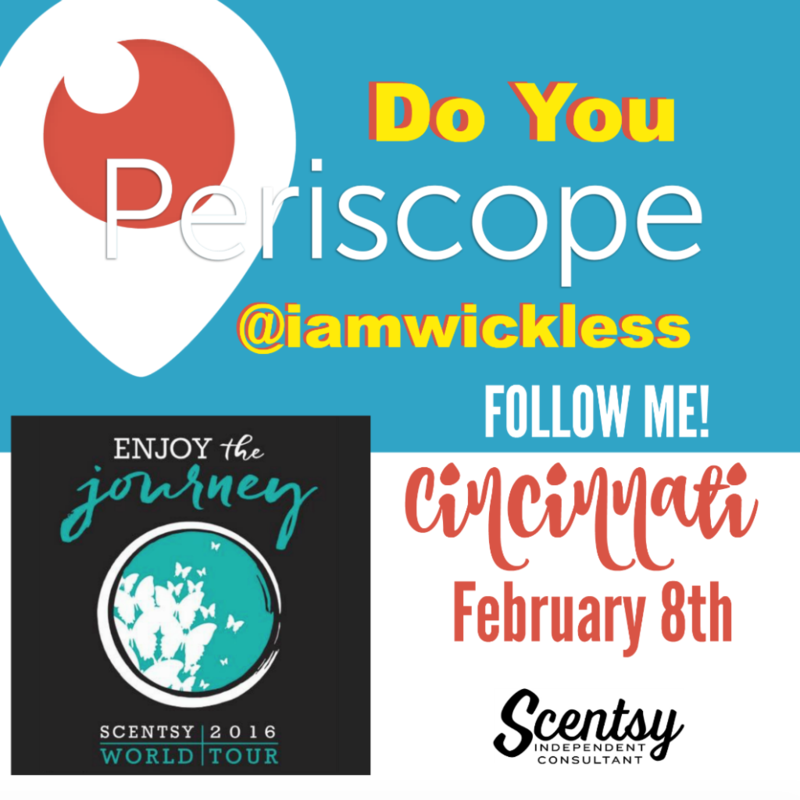 Scentsy World Tour 2016 Cincinnati live on Periscope will be amazing! If you don’t have a Periscope account yet, join in to receive live stream on Periscope of our Scentsy World Tour 2016 at the Sharonville Convention Center, Cincinnati Ohio. I’ve been using Periscope now for about a year, and it’s so fun! It still feels weird sometimes, and I seem to think faster than what I can speak out of nervousness, but it’s getting better and I still love to meet new people on that social media platform. So, join in the fun even if you can’t be there in person. It will still be amazing to feel the energy of everyone there!